A Fleuroselect Award winning selection of doubled bicolor flowers, rich velvet red petals streaked radially with gold, reminiscent of roulette wheels. 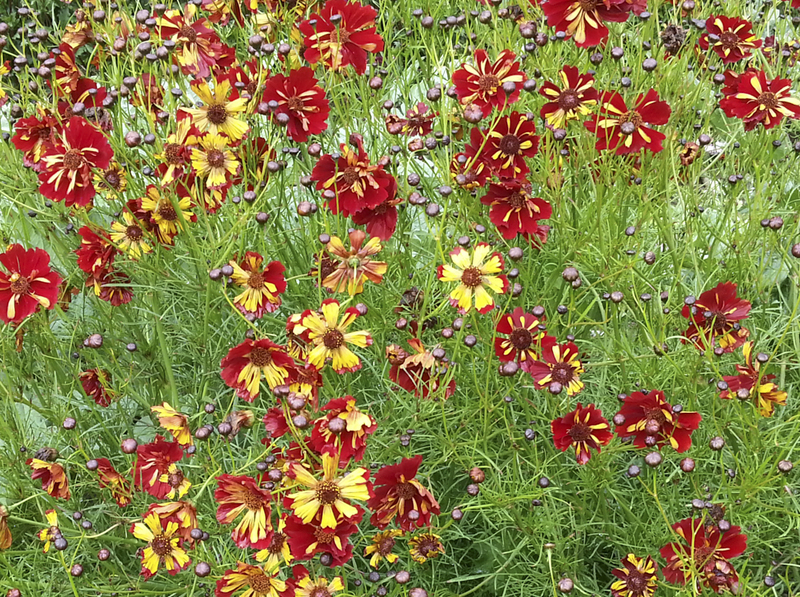 The precursors of this form (and many other interesting possibilities) can be found in our mixed population 'Dyer's Coreopsis.' 2-3' tall, space 12" apart.